Annual event to share the latest research and information for the growing community. Released earlier this year on iOS, the BugFinder app is now available at the Google Play Store for Android devices. New app can quickly diagnose pests in the landscape. Philip Pieper, Jen Llewellyn and Case Vanderkruk at the 2019 LO Growers Short Course. 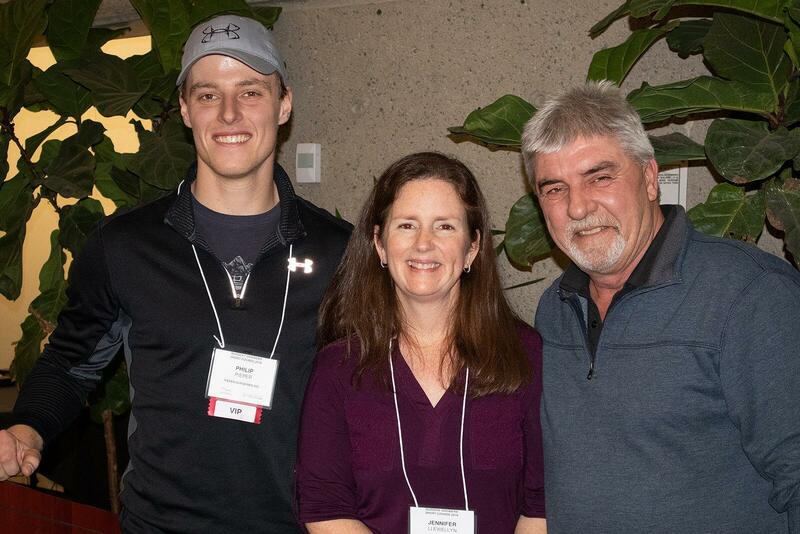 Landscape Ontario’s Growers Sector Group hosted professionals within the sector at the Nursery Growers Short Course on Feb. 6 at the Royal Botanical Gardens in Burlington, Ont. The annual, popular event discussed the latest market trends, research and product innovations for the growing community. Despite freezing rain across the region, nearly 200 professionals arrived, eager to learn and network. The second speaker, Jeanine West, outlined her role as Grower Technical Analyst for Landscape Ontario. Next up, the Canadian Nursery Landscape Association’s (CNLA) Integrated Pest Management (IPM) and Minor Use coordinator, Peter Isaacson, discussed regulatory changes and new products on the market. Following Isaacson, Ann Huber from the Soil Research Group, presented the results from a study on the use of reclaimed water as an irrigation source in Ontario. Next, Niagara College student, Daynan Lepore-Foster, outlined a seed propagation project the school in undertaking alongside AMA Horticulture and ICL Specialty Fertilizers. Daynan was followed by University of Guelph student, Rudi Ballard, who detailed her research on the carbon sequestration potential of Ontario nursery stock. Next, Sharon Reed, a research scientist with the Ontario Ministry of Natural Resources and Forestry (MNRF), discussed oak wilt and the role of sap beetles. The last speaker, University of Guelph professor, Praveena Saxena, presented in nitro plant propagation via Google Hangouts. The event concluded with popular Growers Good Ideas sessions, where individual growers present homegrown solutions or ideas that increase production or solve a unique issue on the farm. Phillip Pieper from Pieper Nurseries put forward an electric backpack sprayer, and Case Vanderkruk of NVK Nurseries presented a zero-turn mower retrofitted as a sprayer. The LO Growers Group would like to thank platinum sponsor, Plant Products; keynote sponsors; Pieper Nurseries and NVK Nurseries, and tabletop partners, Host Protect; ICL Specialty Fertilizers; Nufarm; Kam’s Grower Supply; and Gro-Bark.